Well, maybe. Gross domestic product is growing but so—as opposition politicians were quick to point out—is the measured rate of poverty and the number of people eking out a living in the informal sector of the economy. Cordero’s claim has been received with little credibility in Mexico, but with a great deal of interest in the United States, which has a stake, for a number of reasons, in Mexican stability. 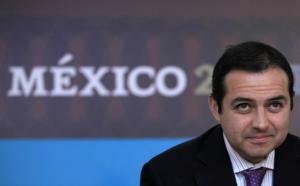 His analysis, for example, has been picked up by a couple of recent news stories in The New York Times, in which growing economic opportunity in Mexico is said to account for the dramatic slowdown in migration to the United States—a slowdown that has been documented by the Organization for Economic Cooperation and Development (OECD). The Times recently headlined: “Better Lives for Mexicans Cut Allure of Going North.” Interestingly, the story was more nuanced—and credible—than the headline. It turns out, reports The Times Damien Cave, there are many causes of the (temporary?) slowdown of what authorities call “first-time” migration (i.e. migration that excludes those who go back and forth), including “expanding economic and educational opportunities, rising border crime and shrinking families.” But the headline reflected Cordero’s dubious claim that most Mexicans were in the process of achieving middle-income status. In fact, middle-income jobs are not at play in the migration-slowdown story. Rather it’s the return of low-wage jobs from a number of sites in the United States and Asia where wages are getting too high for profitability. What we may be seeing here is a new stage of the so-called “race to the bottom,” in which developing, export-oriented economies compete with one another for low-wage jobs. Minimum wage in the border region is about $5 a day. Labor economists estimate the value of a “basic basket of goods” for a family of four to be between four and five minimum wages, or about $20 to $25 a day. That humming noise along the border is desperate workers being attracted to poverty level wages. Just a quick note on the “remittances” part of the migration story: Remittances (the money sent home by people working abroad) and migration are an old story in Mexico, as they are in most rural societies. Work is seasonal and family members are sent to look for other sources of income in the off-season. These sources can be crucial to survival. According to the Inter-American Development Bank (IADB), Mexico is by far the largest recipient of remittances, mostly from the United States. With the slowdown of out-migration and the global recession, this number isn’t growing, but it isn’t shrinking either. In 2010, remittances to Mexico totaled about $21.3 billion, about the same as the previous year, but down somewhat from about $24 billion on 2006. This is money needed and counted on by poor and working class families. It is also needed by the economy as a whole. After oil and illegal drugs, and roughly on a par with the constantly changing value of manufacturing exports, remittances are an important source of hard currency. They typically go directly to families and communities who tend to spend the much-needed income, thus playing a key role in stimulating the economy, not to mention alleviating a good deal of economic distress. “Better lives for Mexicans” have not cut the allure of remittances, or the need to have a few family members living north of the border.